Our goal is to connect people with the best local experts. 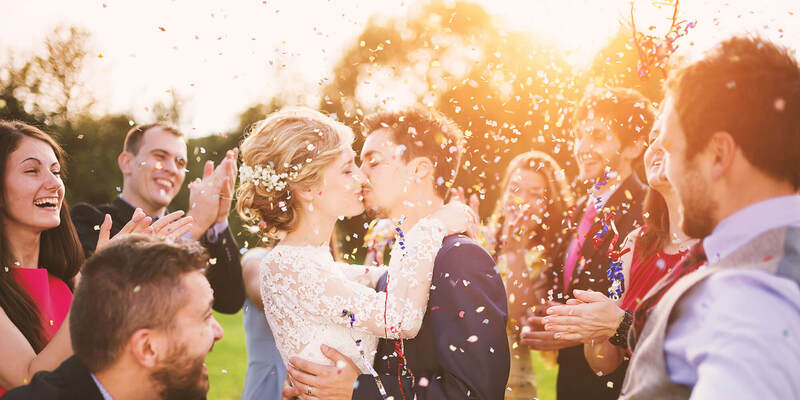 We scored wedding photographers on more than 25 variables across five categories, and analysed the results to give you a hand-picked list of the best wedding photographers in Chico, CA. Burns Photography is a Chico, California based photography studio capturing both weddings and portraits for the communities of Northern California. Various packages are available to suit the budgetary needs of clients, and the studio is willing to travel and photograph a wedding anywhere in the world. Anywhere between 50 and 150 photos are posted to a client proofing site where customers can view and share their photographs. Images are burned to a CD and delivered with a photo album if purchased, and free digital downloads are part of select wedding packages. Portraits and high school senior photography are also available. Burns Photography keeps all digital content for two years after the photo shoot in case any files are lost. Burns Photography accepts credit cards as payment. Chameleon Photographix is both a studio and onsite photography company. They are located in the Northern California region, but they are willing to travel anywhere in the world for a fee. They specialize in weddings, children, animals, and families, but also do several types of photojournalism, including food photography and product photography. They are also open to exploring new fields of photography for clients who ask. Their wedding packages include registry cards, a slideshow DVD, engagement photos, and a website of personal photos from the day of the wedding. Clients speak highly of the friendliness of the photographers and the speed of their work. David Yager Photography photographs weddings, pet sittings, family portraits, high school senior portraits, lifestyle shoots, commercial photography, engagements, products, and properties. The company also offers design services on photo books, invitations, fliers, and posters. David Yager Photography also performs editing services using Photoshop and Lightroom for enhancement and restoration. The company is made up of David Yager and Tempra Board, a team based in Chico and the Sea Ranch, California. David and Tempra serve all of Northern California, including Butte, the Mendonoma area, and the surrounding counties. Their passion is capturing intimate moments, real emotions, love, and fun in their photographs. Diane Nicole is the owner and principle photographer of Diane Nicole Photography. Based in Chico, CA, Diane Nicole has photographed events all across California. She studied at the Southeast Center of Photographic Studies in Daytona Beach, Florida and graduated with a degree in photography from Butte College California. Beginning in 2010, Diane Nicole Photography has over seven years of photography experience and specializes in wedding and engagement photography. However, she also offers services such as portraiture and maternity shoots. For those in need of a destination wedding photographer, Diane Nicole is willing to travel. Wedding coverage packages start at $2000 and options can be selected piece and parcel to tailor specific needs. Don Campbell owns Don Campbell Photography in Chico and is willing to travel throughout California, Oregon, and Nevada to take pictures for weddings. He also enjoys working for destination weddings and has gone as far as Taiwan to capture a couple’s special day. The company works for all types of events of all sizes and also completes some videography, particularly for weddings. Many of the company’s previous customers praise Don Campbell Photography for its high-quality photos, employees with great personalities who are easy to get along with, quick turnaround time for pictures, willingness to travel, and general affordability. Others describe the company as meticulous about their work and feel like it shows in the finished project. Don Campbell Photography is available for other events or family portraits as well. Based in Chico, CA, Edward August Photography serves clients in the Northern California area. Ed enjoys providing couples a photo album that’s filled with his pictures of their storybook wedding. He also takes high-school senior photos that will be treasured for a lifetime. Another specialty is his commercial photography. Ed shoots pictures of people, places, and products that help promote businesses. His sports photography skills have given him the opportunity to cover professional sporting events at National Football League, National Hockey League, and Major League Baseball venues. He brings the same professional sports photography skills to children’s sporting events. Engagement sessions and family portraits are also available. Family Focused Photography is a professional photography studio located in Chico, California that serves the Chico, Paradise, and Butte County areas with high-quality images. The team at FFP focus on images primarily related to weddings, engagements, family portraits, and senior portraits. They also provide services at special events alternative to common services, headshots, and they recently established a videography division for clients wishing to capture special moments on motion film. The company is operated by the hands of best friends Andrew Scheimer and Daniel Gonzales who are both seasoned in the field with over a decade of experience to build upon. Potential clients are encouraged to go online to view the studio’s gallery, pricing for photo or video services, and watch videography from previous events. Katelyn Owens Photography is a professional wedding photography studio serving the community of Chico, California, and the surrounding area. Established in 2009 by Katelyn Owens, this photography studio specializes in wedding and engagement photography. Photographer Katelyn Owens graduated from California State University Chico with a bachelors degree in photography. Katelyn Owens enjoys shooting in natural light and defines her style as realistic, romantic, and easygoing. Katelyn Owens Photography has been featured on Paper Moon Weddings, Two Bright Lights, Storyboard Wedding, and Rustic Wedding Chic. Clients highly rate Katelyn Owens Photography for their professionalism, quality of service, value, and attention to detail. Kyle Nelson Photography has photographic services available for weddings, portraits, professional headshots, commercial photography, event photography, and real estate photography. The Chico, CA photography business offers on-location portrait sessions and in-studio portrait sessions for maximum flexibility. Many packages also include a reveal video, a special service specific to Kyle Nelson Photography. Photographer Kyle Nelson also has a fine art gallery available for viewing on the company's website to demonstrate Kyle's artistic eye and ability to capture the beauty in landscapes that radiates throughout all of his work. Clients may purchase Kyle Nelson Photography's fine art as photo prints as well as on metal and canvas materials. Mark Thau Photography is a Chico, California based professional studio with over 12 years of experience. Owner and principal photographer Mark Thau offers an extensive range of services, including childhood, family, maternity, reunion, pre school, and sports documentation. He also has experience in the fields of headshots, business marketing, special events, and weddings. Mark has received praise from clients for the quality of his service and his friendly personality. The affordable rates and promptness of his company have also garnered acclaim. Prospective customers can reach out to mark by phone, email, or through his social media pages to schedule an appointment or to request a price quote. Michelina Photography, located in Chico, California, since 2011, provides photography services for the communities of northern California, including the San Francisco Bay area. Specializing in weddings, engagements, graduations, and family and individual portraitures, Michelle Perkins Smith aims to capture the spirit of the moment in every session to celebrate the unique achievements, romances, and joys of each client. Utilizing a photojournalistic style, she creates extraordinary images that preserve the precious memories for years to come. Offering a variety of packages to suit all needs and wants and an online gallery to view proofs, Michelle remains dedicated to providing a customized experience for each customer. She is an active member of The Professional Photographers of America, has received hundreds of likes on Facebook, and reviews rave about her talent, organization, and calm, personable demeanor. Based in Chico, California, Morgan Chantelle offers wedding photography for the Chico area, as well as for destination weddings around the world. After taking classes in photography to take better photos for her blog on lifestyle, Morgan started as a second photographer at weddings around Chico and quickly went on to found her own company. She encourages couples to come up with adventurous ideas that will display their sense of fun, as well as their distinct personalities, for both engagement and wedding sessions. Morgan wants all her clients to look at their wedding and engagement photos and to remember those days as exciting and authentic. Poise Photography in Chico, CA, specializes in wedding photography that emphasizes the bride, the couple, and a relaxing atmosphere. Principle photographer Jennifer Pearce believes in natural, candid portraiture that aims to convey genuine emotion. A variety of wedding packages are available, and customized options tailored to the needs of the couple are also offered. Poise Photography is pleased to travel to capture a wedding as well. Boudoir photo shoots are available, which includes an all-female staff on hand during the session. Privacy is guaranteed during boudoir shoots, and all photos are retouched to offer the client their best complexion. A photography gift registry is available, and payment plans for all packages are an option. Tami Oberg Photography serves Chico and the surrounding areas in California, providing expert photography services. Tami Oberg is the owner and primary photographer at Tami Oberg Photography, and she specializes in photographing newborns, expectant mothers, children, family, high-school seniors, weddings, and couples. Tami offers a variety of packages, each including a specific number of edited images and an amount of time dedicated to the session. She particularly enjoys taking joyful pictures in natural, beautiful light, and she is committed to helping her clients feel happy and comfortable during their sessions. Tami enjoys getting to know her clients and developing relationships with them. Zealous Imagery Photography is a husband and wife team serving the Chico, CA area. They provide wedding, engagement, family, maternity, and newborn sessions, in addition to wedding videography. Tiffany Ridenour, owner and principal photographer of Zealous Imagery, believes photography should be both passionate and playful, and her finished products reflect this. Previous clients speak of her professionalism, flexibility, and creativity, as well as the ease of working with her and her husband. There are a variety of portrait packages at different price tiers. All wedding packages include a second shooter and a 30-minute engagement session, and can include upgrades such as videography.